Hanoi (VNA) – The Party Central Committee’s Secretariat has decided to dismiss Le Phuoc Thanh from the position of Secretary of the Quang Nam provincial Party Committee for the 2010-2015 tenure. The decision, made during the Secretariat’s meeting in Hanoi on February 5, is based on the Regulation No.102-QD/TW of the Politburo on disciplining Party members for violations. After considering the report No.96-TTr/UBKTTW by the Party Central Committee’s Inspection Commission dated January 26, 2018, the Secretariat said Thanh, as head of the provincial Party Committee, must bear responsibility for violations by the Standing Board of the provincial Party Committee during the 2010-2015 tenure and the Party Affairs Committee of the provincial People’s Committee for the 2011-2016 tenure. He was also found to have violated working rules and centralized democracy regulations as well as the Party and State’s regulations on personnel work. 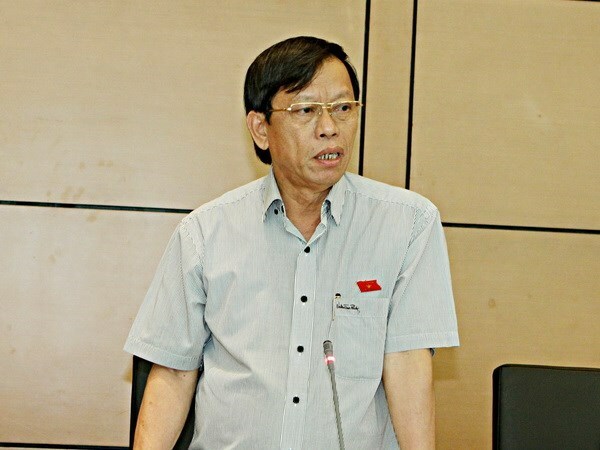 Thanh failed to show good example and offered favour of his son Le Phuoc Hoai Bao in the personnel planning, training, rotation and appointment of Bao to several positions (office chief of the Management Board of the Chu Lai Open Economic Zone, Vice Chairman of the Thang Binh district People’s Committee, Vice Director and Director of the provincial Department of Planning and Investment), in violation of personnel procedures and requirements of qualification. Thanh also let the provincial People’s Committee to send Bao abroad for master studies using State budget, which was not in line with State regulations.